Joy is a specialist family practitioner whose work is predominantly in the High Court. 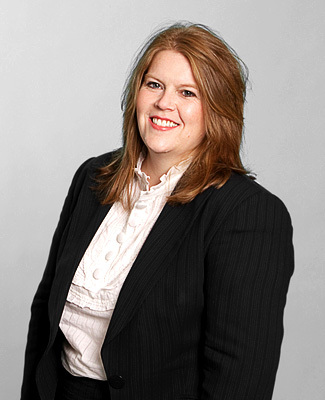 She has particular expertise in complex children matters encompassing both private and public law proceedings. She is regularly involved in cases concerning non-accidental injury, sexual abuse, physical and emotional abuse. In addition she has extensive experience in private law matters where there are protracted and highly contentious disputes and she is particularly specialist in the international relocation of children. Highly experienced children law barrister who is recognised for her work in cases concerning the movement of children internationally. She additionally exhibits strength in matters concerning issues of criminal offences and abuse. Her expertise spans both private and public cases. Highly experienced children law barrister who is recognised for her work in cases concerning the movement of children internationally. She additionally exhibits strength in matters concerning issues of criminal offences and abuse. Has an enviable reputation for taking on some of the most challenging children cases. She specialises in both public and private matters, and is singled out for her resolute nature and willingness to fight. Recent work: Joy went to the High Court in a public law children case. The grandparents of a child were accused of being complicit in the international abduction of a child by its parents. The case included an international police effort to locate the missing child. Undertakes both private and public law children proceedings, and has a particular affinity for cases with an international angle to them, particularly those concerning international abduction, relocation and serious injury to children. Highly experienced in private and public law children work and is especially recognised for her work regarding adoption and child relocation. She also handles cases involving issues for consideration such as education and religion. Recent work: Featured in a high-profile case involving a decision concerning the upbringing of five children from the Chassidic community. This concerned a disagreement between the parents over the education of the children which would entirely affect their whole way of life and rules for living. Another favourite amongst solicitors as is Joy Brereton, a “tough, no-nonsense” advocate who handles all aspects of children law with a particular focus on complex private law disputes such as international relocation. Joy Brereton draws particular praise for her work relating to child relocation. “She is very approachable, very persuasive in court and has a fantastic manner with the clients,” say those that use her. Joy Brereton, “a gifted advocate with in-depth knowledge of all aspects of children law. Her reassuring manner always plays well with clients,” say sources.